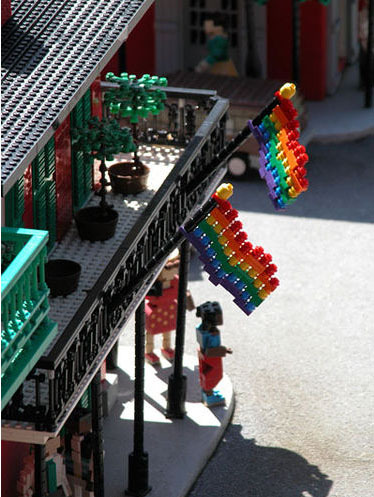 What do gay bars have to do with urban planning? Maybe a lot. In a very interesting Boston Globe op-ed, writer Robert David Sullivan discusses the shrinking number of gay bars in Boston, and how that's part of an overall urban shift from small gathering spaces (bookstores, bars, cafes) to less inviting businesses (bank branches, eyewear stores). The gay bar, Sullivan writes, is akin to the Jewish deli in New York, or independent booksellers around Cambridge, Mass. They've been steadily declining in recent years, to their communities' detriment. Sullivan blames the usual suspects -- rent increases, the Internet -- for why these small, indie businesses are closing. This change is a serious challenge to the city, which has historically been defined by the breadth and variety of its street-level experience - and the wide diversity of people it threw together. "City air makes free," a saying that dates to medieval times, was a favorite of urban-studies pioneer Jane Jacobs. But as a wide range of gay bars dwindles to a handful of survivors - and the city's diners, indie bookstores, and dive bars yield to high rents and shifting patterns of commerce - that air is becoming the province of an increasingly narrow set of people.